Contemporary Music: 36 to 100 Years Old? A gang of youngsters performing the music of the Old Masters—Bernstein, Foss, Copland and Ives—ended the Tanglewood Music Center 75th Anniversary Edition of the Festival of Contemporary Music with a bang Monday night at Ozawa Hall. 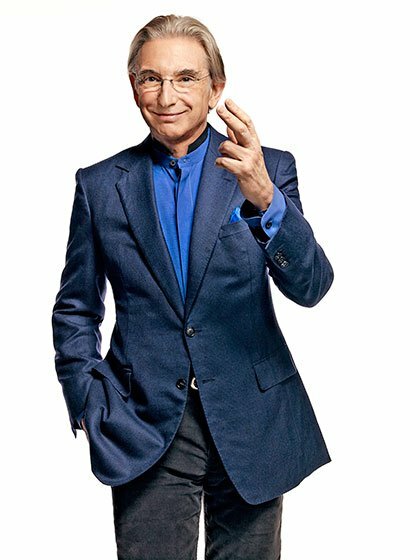 They were conducted in the main by Michael Tilson Thomas, a figure who could make a run at becoming the Grand Old Man of the American contemporary classical scene if he weren’t still so youthful and energetic even at 70 (think of the craggy wreck that Bernstein was at that age). Ozawa Hall was sold out or nearly so, the lawn was fairly coated with spectators, and the traffic in the parking lots a bit treacherous. The night of high energy started with Bernstein’s brief Prelude, Fugue and Riffs for a kind of jazz band—brass and saxophones, bass and percussion with a solo clarinet part in the final section. It was initially intended for Woody Herman and the Thundering Herd but alas, the Herd had dispersed by the time it was done. It did get some performances at the time, and was documented excellent recording with Benny Goodman. The performance on this evening suggests why it might not return to concert stages all that often; it requires players with excellent jazz sensibility as well as with the skills needed to put across the more overtly composed sections. There’s a lot of tricky rhythm here, and some formal structure that needs attention: you don’t need to think of the big low-down tune that bursts in as a “second subject” to register how it is used structurally. The Prelude featured the brass players of the TMC orchestra who had both chops and technique. In their hands this section of sanded-down Stravinsky was sharp, shapely and exciting. Unfortunately, the Fugue, intoned by the saxophone section almost completely disappeared; judging from the grey hair on display, the TMC was a little understaffed in this department. The Fugue hardly epitomizes the form, but it does employ some nifty counterpoint and interesting dialogue between the instruments, and it was a shame to lose it. But everything came roaring back in the Riffs, adding vibraphone and piano and BSO principal clarinetist William R. Hudgins in the solo part. Hudgins’ playing was on the “cool” end of the jazz spectrum, but in the event, it would do. The conclusion repeats a five measure phrase “to an ‘exhaustion point.” A chance for just a little showmanship was lost as Hudgins kept his eyes resolutely on the page as the figure repeated. Surely he could have looked up and made contact with Tilson Thomas, whose body was coiling and uncoiling in an angular swing as if trying to hasten the exhaustion along. Lukas Foss is a composer whose relative neglect is both regrettable and understandable. His output is uneven and his often dilettantish experiments contrast, say, to the real out-there from Americans in the Cage-Nancarrow-Partch-Lucier mold. But he made serious forays into treating improvisation as a first class element of classical practice—something worth revisiting—and he was willing to try just about anything if he thought it would provoke the listener into hearing something new. Quintets for Orchestra (1979) finds Foss working a minimalist aesthetic: a five note chord is distributed among five groups of the orchestra, and for the most part there is almost no melodic movement, but much movement of sound across space and pulsing texture. About two thirds of the way through, Foss seemingly over-reaches for a way to “develop” the piece further, and in consequence it trades personality for some clichéd orchestral gestures. But Tilson Thomas was actually jumping up and down for the oddly satisfying big and loud ending. After hearing Aaron Copland’s Symphony for Organ and Orchestra Walter Damrosch famously said that “if a young man in his 20s can compose music like that, by the time he is 30 he should be ready to commit murder.” Copland’s early vehemence may mystify the concert-goer who knows the composer of Appalachian Spring. The 30-year-old’s Piano Variations are not murderous, but they are tough, intense and knotty. In their incarnation as the Orchestral Variations, completed 27 years later, they lose none of their power but acquire a clarity and variety that helps untie the knots for the listener. The subject theme is uncompromising, dissonant, and brief; the subsequent 20 variations shift color, texture and meter constantly. The dynamic level stayed high for the first half of the piece, by which point, Tilson-Thomas’ energy and exuberance began to feel unrelieved, and the loudness of the evening unrelenting, though the orchestra never turned coarse. After all of that we took a break and returned for the towering achievement that is Charles Ives’s more than 100-year-old Holidays Symphony. Over the last couple of decades, something has begun to happen to how Ives is perceived: he used to be seen as a berserk American individualist, writing crazy music that was frequently incomprehensible. Now, as we have the benefit of well-edited editions and of players who can surmount the technical difficulties he poses, his oeuvre has become tractable, its sound-world still challenging but no longer alienating. In fact, the immensely human and social elements of his writing become audible, making him not a wild genius, but a man with a huge heart blessed with the ability to make artistic objects that give it voice. Tilson-Thomas compared him to Walt Whitman on this evening, and it felt suitable. The conductor further noted that many of the cultural touchstones Ives used in this work were no longer current, especially the hymn tunes, and he had the Boston University Tanglewood Chorus sing a number of them before the symphony. This useful educational exercise also gave the choristers a chance to show their stuff, as the symphony only uses them for a total of 17 measures. What was common cultural property in 1913 has settled into obscurity, yet those allusions give the symphony a nostalgic cast, or even a “meta-nostalgic” one. Holidays already bore nostalgia just underneath its often dense or prickly surface; the main business of the quotations is to summon memories of holidays. In fact, the movements are essentially programmatic. Before each Tilson-Thomas read a textual “program” which Ives presumably penned: my research shows that Ives only outlined the events of the first three movements; I’m not sure where the text for the fourth came from. Those first three movements share a similar structure: a slow, often dissonant opening which gains in intensity, then a section where all hell breaks loose, packed with references to folk tunes, hymns, and marches. But each movement also retains its distinct personality: the wintry party at the heart of Washington’s Birthday is warming and collegial, with a prominent fiddle part (played by Bonnie Bewick from the balcony on the left side of the stage) that goes its own way while the orchestra tends to other business. Decoration Day is more serious and profound. Its wild march back from the services at the cemetery is brief, its spirit martial; the epilogue that follows troubles. After its opening evocative of a summer calm with a hint of threat, as if there were ozone in the air promising thunderstorms, The Fourth of July turns into absolute chaos, requiring two conductors at times to keep everything moving. The sound of the clashing musics in the middle was visceral and tactile. The final movement, Thanksgiving and Forefather’s Day, stands apart. An extended chorale, it is more a meditation on history than a series of memories, and it slowly but steadily builds to a monumental climax, at which point the chorus finally is able to break out into song commemorating the faith of the American settlers. The conducting tasks were split among Tilson-Thomas (who conducted Washington’s Birthday) and the conducting fellows of the TCM. Ruth Reinhardt took Decoration Day and assisted Marzena Daikun, who was the primary conductor of The Fourth of July. Christian Reif conducted Thanksgiving and Forefather’s Day. The performance was exuberant, even terrifying in The Fourth of July. The chorus was gloriously full-throated and powerful in its brief but crucial moment. Ives’s often problematic orchestration still posed some difficulties: the slow sections occasionally congealed, and Thanksgiving was perhaps a bit sleepy in its middle sections, as it slowly gathered steam, but one was glad to hear it. On wonders why the culmination of the “Festival of Contemporary Music” comprised pieces by dead composers; the youngest composition was 36 years old. It’s my hope that in perhaps a decade, this good, strong American music would rouse the thousands in the Shed for an annual celebration ending with fireworks. Then back at the FCM… perhaps a stab at Ives’s Universe Symphony? One can dream. Comments Off on Contemporary Music: 36 to 100 Years Old?